There was never any doubt, but Farming Simulator 15 has been announced for PC and due in October. The engine has had a total revamp to try and make harvesting crops feel even more real. To take advantage of all this new polish, the game now also features a new Nordic setting in which you can look after your small slice of paradise. You’ll face all the regular daily activities such as growing and harvesting crops, rearing livestock and selling various produce. There’s also some new challenges too, such as logging as you’re tasked to look after forested areas. New manufacturers have joined the lineup such as Case IH, Deutz-Fahr and even Lamborghini. Expect to be riding in style. 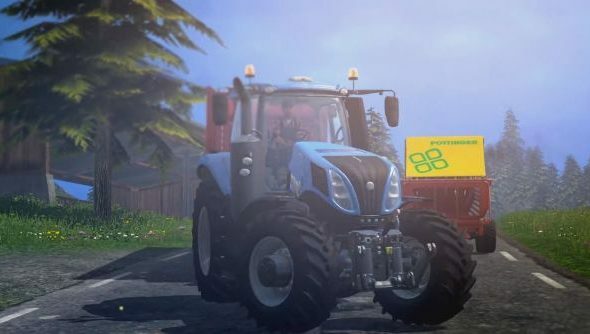 Farming Simulator 15 will be heading to PC in October, ahead of the console release next year.